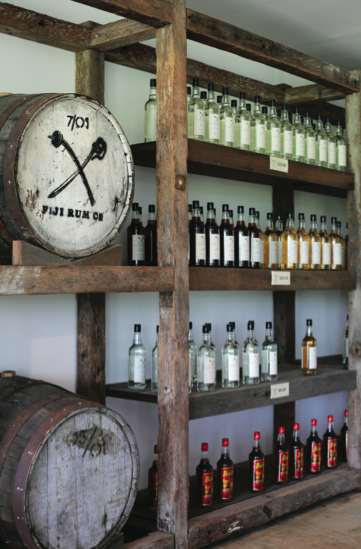 Distilled and matured in Fiji’s tropical climate, the finest local ingredients come together to produce our famous Fiji Rum Co. Rums. 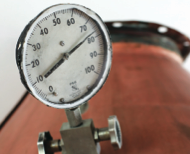 base for our fermentation, which results in an unrivalled flavour profile. again. “I knew nothing about making rum back then reminisces Liam, but I sure knew how to drink it”! This ‘Mr. Miyagi’ of sorts taught Liam how to read the hydrometer, about strengths, weighing barrels, calculations, how to break it down and blending. He said, “A key phrase Liam – Pay Attention! I’m going to give you four simple words and if you follow them – everything will be ok. Learn, Try, Stay and Care”. “I did care – at that point I really cared about making good Rum that my mates and I could sit around and drink together!” laughs Liam. 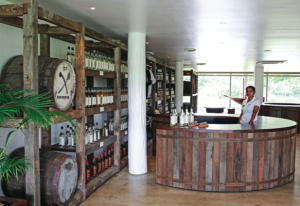 At the same time as Liam was busy learning his trade back in Australia, the Fiji Sugar Corporation commissioned Fiji’s first distillery. 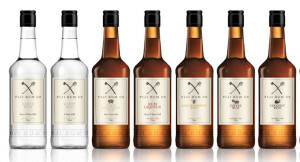 The Rum they created was christened ‘Bounty’ after the infamous ‘Mutiny on the Bounty’ which occurred in Fiji Waters. For 33 years White, Dark and Overproof Bounty Rum’s were made, sold and loved throughout the nation. In 2003 Liam bought ‘Crusoe’s Retreat’ located along the Coral Coast. His bar was well stocked with Bounty Rum – as he poured Rum cocktails for his guests, he was oblivious to the journey that he and Bounty would inevitably embark upon. Liam missed his working relationship with alcohol and eventually joined Paradise Beverages (the company that had taken over the Distillery). While initially employed as a Sales Manager, Liam’s vision for Bounty was about to take form. 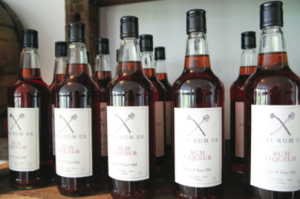 “I realized we were selling our Rum to overseas companies and it was winning them medals left, right and center as ‘Best Rum in the World’. So I thought to myself “Enough is Enough! 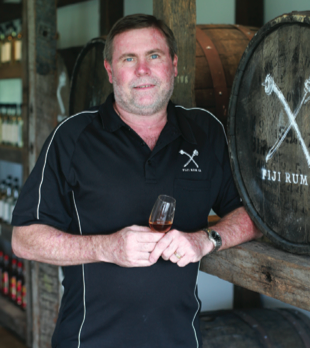 – this is Fiji’s Rum and we need to take it to the world as such”. 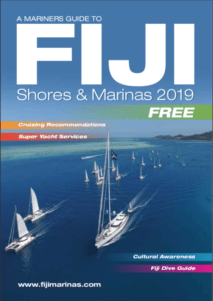 YOU do’, Liams vision began to take shape and the Fiji Rum Co. was born with the help and support of Paradise Beverages General Manager, Tony Scanlan and the then new owners (Coca Cola Amatil) regional representative Paul Gloster. 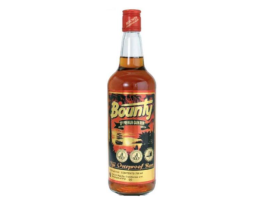 After purchasing some simple ingredients from the local supermarket – cinnamon, star anise, vanilla, nutmeg, and even some oranges to peel, Liam went home, opened a bottle of Bounty Dark Rum and poured a concoction of the ingredients into the bottle. There it sat, on the kitchen countertop for about 7 days. On day 8, it was presented to the Directors of Paradise Beverages as the blueprint for ‘Spiced Rum’. It smelled and tasted like Christmas in a bottle! They were sold on the idea, and so the venture into flavoured Rum began. 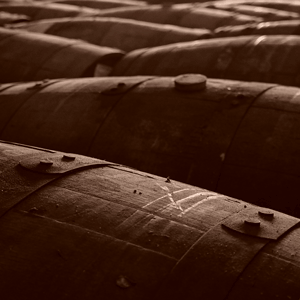 Liam ran thousands of trials, creating thousands of blends and sampling thousands of barrels of Rum until he found exactly what he was looking for – dream job, right? “Once I have an idea for a new flavor, I know exactly what I want it to taste like”, he explained. “What shape I want it to create in my mouth, and how I want it to feel – I can go through 60 different samples until I am happy. Only then, does the Rum leave the distillery”. Today’s range of flavoured rums is wide enough to appeal to everyone – even the staunchest of Rum hater! 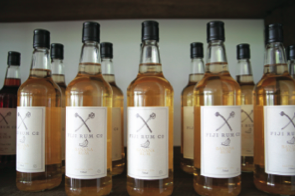 From warm Honey Rum, to decadent White Chocolate, to smooth Banana and delicious Spiced Rums – there is something to suit the pallet of everyone who enjoys a tipple. Having spent many years working in the wine industry Liam has worked with some of the most skilled wine makers in the world who taught him about the shape of flavours, profiles and how they work together in the mouth. Remembering ‘Mr. Miyagi’s’ words of wisdom, Liam paid attention to everything they said, and when returning to the distillery, he applied this knowledge to the creation of Fiji Rums. 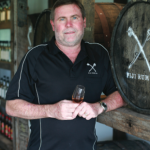 Liam’s skills have been fine tuned over time “I reckon I have tasted over 8.5 thousand barrels just in the past 12 months” he confessed. knowing how all these flavours affect the rum and what it does inside the mouth”. My mouth was watering just listening to Liam describe how through careful measurement of these delicious ingredients, he manages to pull the flavor all the way in and anchor it to the back of your mouth. Quite frankly, I had to insist we end our chat there and then, and get on with the tasting! My very unsophisticated taste buds were quite enamored with the Banana Rum, but absolutely fell in love with Rum Shop Manager Riteshni’s Fiji Rum Cocktail creations. I asked Liam which was his favourite. In return he asked if I had children and when I answered yes, he asked me to choose a favourite; point taken. Fiji Rum is available for purchase through the Fiji Rum Co. Store at the Denarau Golf and Racquet Club which is open from 1:00pm to 9:00pm daily, 7 days a week (excluding Christmas and Good Friday). The shop staff will welcome you for a tasting session, and you may well get to meet Liam yourself! It is also available to drink at resorts and bars around the country. 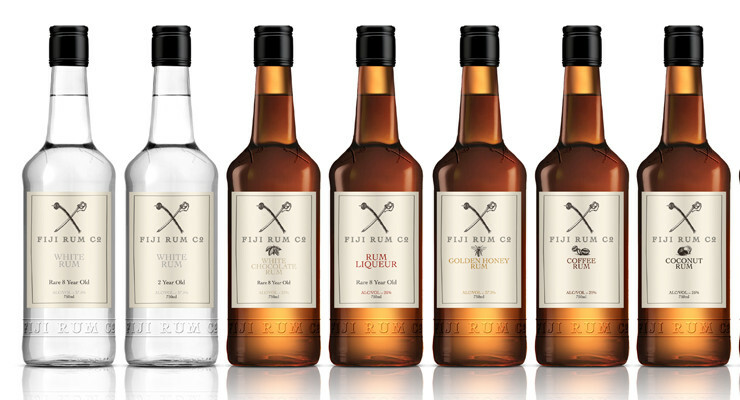 Certain to delight the masses the Fiji Rum Company website will soon have an online store through which you will be able to place your order and have it delivered to your door internationally. Hi Liam, been trying to contact you. Give me a FaceTime call when you can.